Our Christmas tree stands let your trees stand proud and tall throughout the holidays. Surround them with a tree collar for a stylish alternative to a skirt. 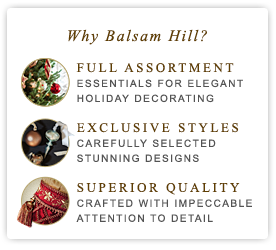 Highlight the beauty of your holiday tree even more by mounting it securely on Balsam Hill's Christmas tree stand. Our heavy-duty Christmas stands provide balance and support to keep your Christmas tree standing upright throughout the holiday season.